"Dormant Movie available on Amazon Prime" - Get it now!. "Salta issue 2 now available!" - Get it now!. "Red Crow Comics titles Bermuda City and Salta are available at The Deep, Comics & Games: www.deepcomics.com"
"Red Crow Comics now at the Limestone Flea Market, Sundays & Saturdays: 9am - 5pm." "Red Crow Comics now at Lowe Mill Artist Market, Saturdays 10am - 4pm"
Red Crow Comics is a comic book publishing house, featuring a unique group of characters for avid comic lovers. "It seems that web series have replaced the old serials that were, once upon a time, screened before movies at the local cinema. The latest is a noirish thriller called Bermuda City, produced, written and directed by Julian Jay Burton, who also features in it in an acting role." Year of the Crow: Harvest writer poised to unleash superheroes into world of comic books. If you're not familiar with Burton or his label, Red Crow Comics, it's because he's still fairly new to the world of graphic novels and superhuman heroes, but the past few years he's been re-awakening the characters and stories he envisioned as a child growing up in Massachusetts. Harvest resident Jay Burton has released his first superhero comic book series called Salta. He said he wanted to create a female super heroine that wasn't overly feminine or exploited, while also giving her a sense of independency, versus a supporting role amongst a large group of super heroes which could shadow her potential. Julian Jay Burton has a lot patience. Or maybe as writer, director, actor and producer of the feature film "Dormant," he has a lot on his mind and relishes the lengthy film shots from different angles that portray him motionless in deep meditation. "My late grandmother, Blessie Burton, was a retired kindergarten teacher by the time I moved back to Springfield in 1993," he said. "It's funny because she used to make me read for punishment. Didn't like it then, but greatly appreciate it now. It's a great contribution to my craft and drive as a storyteller. It taught me discipline, detail, consistency and determination. You definitely need those ingredients as a writer." Meet Julian Jay Burton — writer, actor, director and comic book creator. His special power: imagination. As a child, Julian Jay Burton traveled with Batman through Gotham City, with Superman through the halls of The Daily Planet and with Ghost Rider on a fiery motorcycle. “I loved comic books as a kid. My best friend and I grew up collecting them. We would create our own characters and adventures,” Burton said. Julian Jay Burton spent the last six years of his life working on a project set to premiere at the Princess Theatre on Saturday. “We finally got the dang thing done, thank goodness. It’s exciting to finally see it on a big screen,” Burton said while watching his first feature-length film during a test run at the Princess on Tuesday. “It is exactly what I envisioned all those years ago.” “Dormant,” a suspense-thriller more Hitchcockian than blood, guts and gore, will debut at the historic downtown Decatur theater at 7 p.m. Tickets cost $10 and are available at princesstheatre.org. 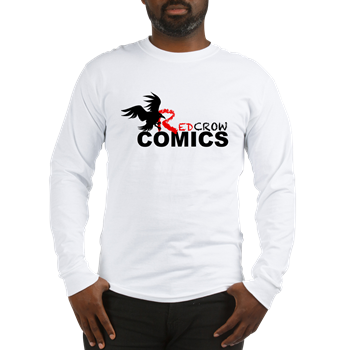 Red Crow Comics is a comic book publishing house featuring a unique group of characters to present great storytelling to avid comic lovers. Copyright 2019 Red Crow Comics, LLC - All rights reserved. Powered by Keitaj Images & Designs.